The CareGiver Partnership: Disposable Or Reusable Incontinence Pants - Which is Best For You? 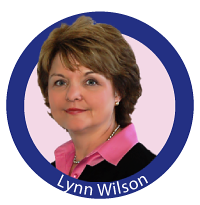 Hi, I'm Lynn Wilson, Founder of The CareGiver Partnership. If you are living with incontinence it is likely that you are using some type of incontinence products to help you manage your condition. Adult diapers and other products allow you to enjoy your life again as you can discreetly wear them without others knowing. Incontinence products come in all different types now, making it easy for anyone to manage their condition without embarrassment. Trying to determine if disposable or reusable incontinence products are best for you comes down to determining what your comfort level is with the product along with the cost factor. Here is a link to help you find some quality incontinence products: http://caregiverpartnership.com/incontinence-product-finder/. The incontinence products on the market now have advanced a long way from the past. Now you can choose between incontinence products for men and incontinence products for women, making it easier for you to manage your condition effectively. Trying out a variety of incontinence products is the best way to figure out what you like and what is going to work best for your situation. There are different types of absorbency as well as products, which make managing incontinence much easier. Some people prefer the incontinence pads as you can just change them out and use them with your regular underwear. Others prefer the adult diapers where others like the feel of the washable incontinence products. It all comes down to preference and the way they fit and give you protection. Disposable incontinence products are commonly seen in stores. You can buy a large package of adult diapers here: http://caregiverpartnership.com/search/disposal/. This is a great way to help you find quality adult diapers as the ones in the store are not always as effective. They tend to come in a one size fits all and individuals that are smaller may have a difficult time getting the right type of fit with their incontinence pants. When you opt for disposable products you need to be concerned about the issue with sanitation. There is a concern over how to dispose of the products so they do not smell but also to ensure you are disposing of them correctly so it is discrete and clean. Using some small disposable bags can help as you can toss them in here first before tossing them in the garbage. The downside to disposable incontinence products is that they can become expensive in a hurry. Depending upon how often you need to change out your adult diapers you could be spending hundreds of dollars or more each year. The adult diapers can be a tad bulky and may make you feel embarrassed as they can make noise when you walk. The reusable incontinence pants are preferred by many people as they are much more cost effective. Since you just need to wash them, there isn’t the same need to worry about how much it will cost you to manage your urinary incontinence problem as you can have several pairs of incontinence pants and continue to use them over and over after they are clean. You do need to figure out a system to get them cleaned so you do not have soiled diapers sitting in a laundry basket. Washing them by hand right away is the best way to reduce issues with sanitation. It is also a good idea to try out different types and styles of the reusable incontinence pants. This will give you an idea as to how they fit and what type of fit you prefer to have. Incontinence doesn’t need to be an embarrassing condition anymore. Thanks to the quality incontinence products that are on the market you can manage your condition discreetly and effectively. To learn more about the different types of incontinence products click here: http://caregiverpartnership.com/landing/incontinence/.